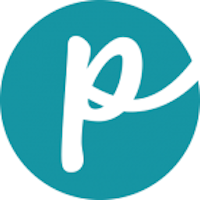 Petful is reader-supported. When you buy through any purple links on our site, we may earn an affiliate commission. All pets love unconditionally, but senior pets love more deeply. 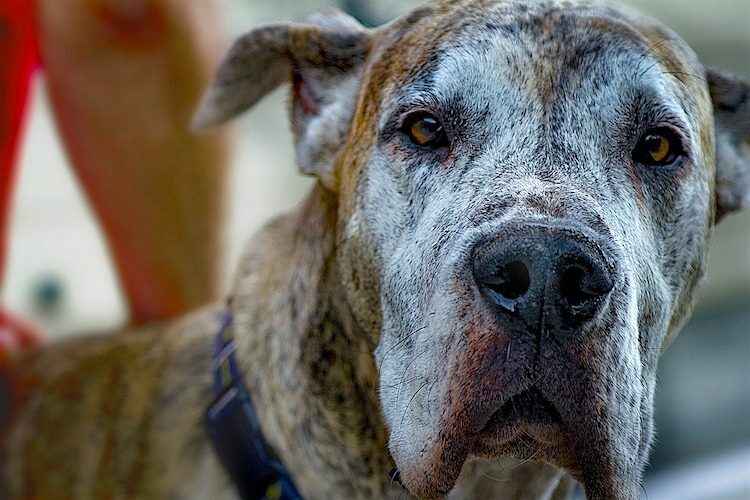 Here’s what you need to know about adopting an older pet. For an old dog or cat, the cruelest fate is dying in an animal shelter without love, comfort or warmth. For years, they gave their human love and devotion, only to be left in a cold, noisy place. Perhaps their human died, or maybe just couldn’t pay the vet bills anymore. Whatever happened, the pet is confused and often depressed. The pet’s age isn’t the pet’s problem so much as a problem in the minds of prospective adopters conditioned to think that, because kittens and puppies are “cuter,” they might make better pets or create stronger bonds. 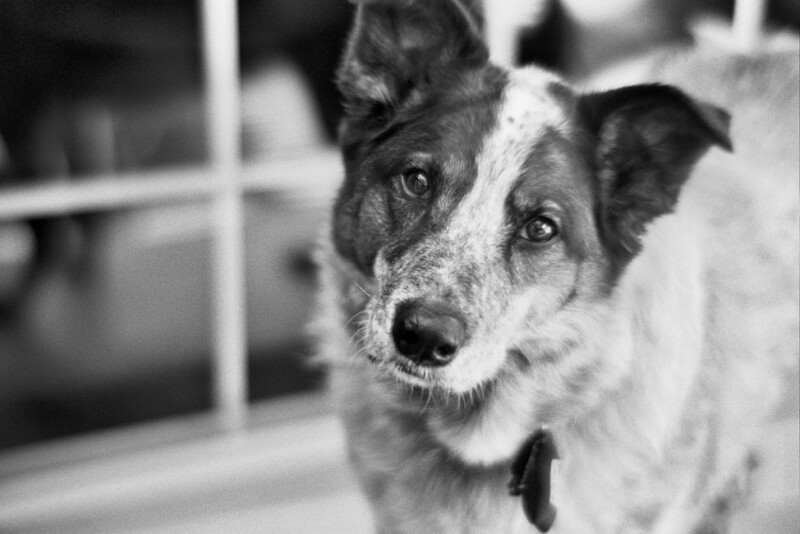 Neither is necessarily true — and for senior pets in shelters, this prejudice can be deadly. Older animals with longer stays are often the least likely to be adopted and the most likely to be euthanized. This is why coming to a shelter with an open mind is so crucial. Skipper, like many older pets, was overlooked by potential adopters — but he eventually found a great new home. Tamar Love Grande, former associate editor of Petful, has specialized in senior shelter dogs for several years now, pulling these older pets from the shelters, getting them the medical attention they need and finding them homes. “All pets love unconditionally, but older ones love more deeply,” she says. People surrender their elderly pets to shelters for a number of reasons. Relocation or death. The human may be moving to a senior living center or has died. Financial difficulties. Drastic increases in a pet’s medical costs because of age-related health problems may produce bills that are impossible to pay. Lifestyle change. 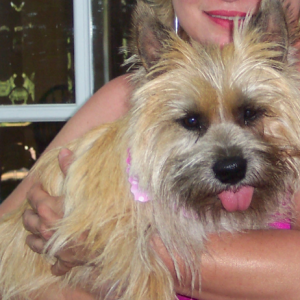 Sudden disruptions, such as divorce or job loss, can lead many to give up their senior pets. “Too much trouble.” Sadly, some elderly animals are given up because they are an inconvenience in their old age. The cat who came into the house as a calendar-cute kitten is now up in the double digits. The kids who clamored for “a kitten for Christmas” are older and don’t have time for her any longer. Open-access shelters are responsible for accepting all pets — friendly, aggressive, healthy, sick, young and old. But faced with limited space and a finite number of adopters, shelters have to decide to humanely euthanize some of their pets. Senior dogs and cats face a higher chance of being euthanized than their healthy, young counterparts. That’s not because senior pets don’t make phenomenal pets — because they do! It’s because the average adopter wants a young dog or cat. 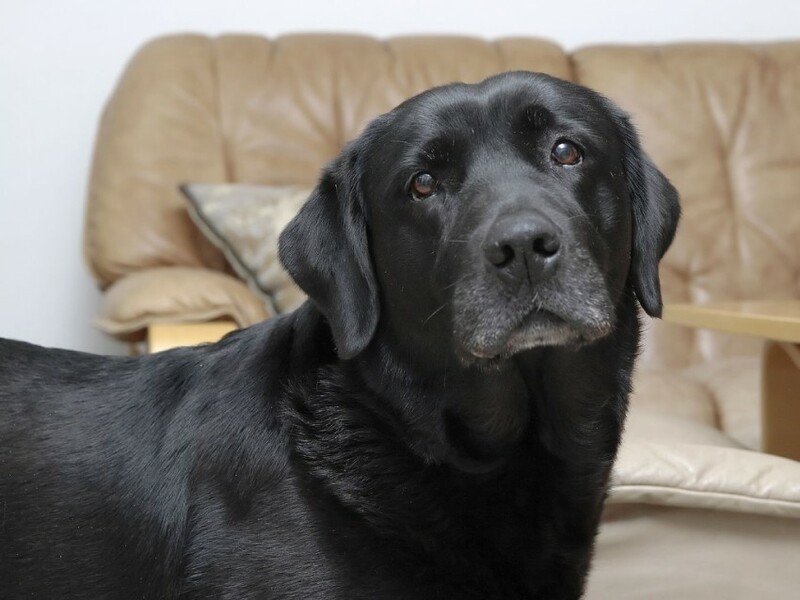 So, why should you consider opening your home to a senior pet? Because there are multiple, honest-to-goodness benefits to you and the animal. Keep reading! 1. I’m easy to take care of. Three short walks a day is a perfect day. I can still run a bit but don’t need to show off like my nutty, younger friends. If we go around the block or I stay out in the yard for an hour, I’m a happy camper! 2. I’m gentle, and you can tell what kind of personality I have. Think about it — if you adopt a puppy, you don’t know what you’re going to get. And you have to do all that training. Do my potty business in the house? I wouldn’t dream of it. Whereas the personalities of puppies and kittens change as they grow up, my personality is fully formed, which makes me more predictable. That doesn’t mean I can’t learn — in fact, I can be amazingly adaptive. 3. I’m a pet for all ages. Kids can just pet my head, and I will sleep by them. You like to take a nap during the day? So do I. Go to bed early? I’m right there with you. Take a little car ride to the drug store? I love car trips. My goal at this stage of life is devoting myself to you. 4. I’m a great companion for your other pets. Need a trainer dog to show the little jerk at home how to behave? I’m all over it. Bother the cats? I’m over that for sure. Trust me — when the rest of the brood are driving you crazy, I’m a model citizen. 5. I’ll be your new best friend. If you take me away from this shelter, you are my savior. My tears for my old family have all dried up. My heart is open and ready to give you all the love in it. Folks think 7 is old around here, so time is running out. My stay at this hotel is not infinite. When they need more rooms for busy season, my number will be up. If you take me home, you truly are saving my life. 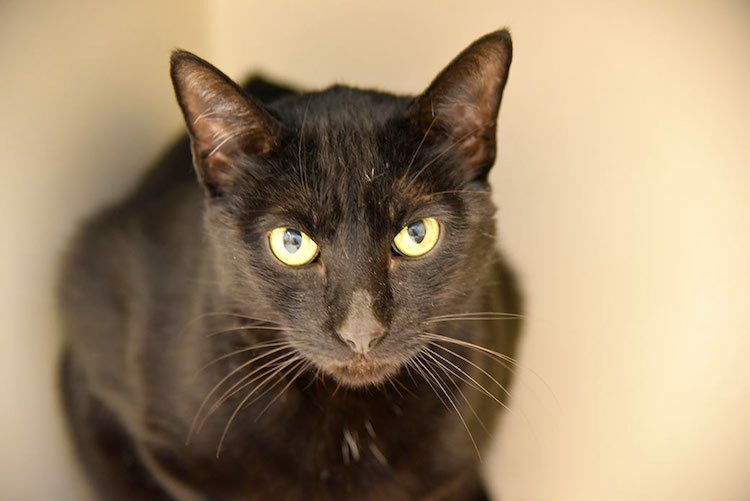 So think about how great it would be to adopt me, an older citizen. I’m calm, trained, sensible, loving, grateful and easy. I will love you forever because you saved me. I will not take you for granted. 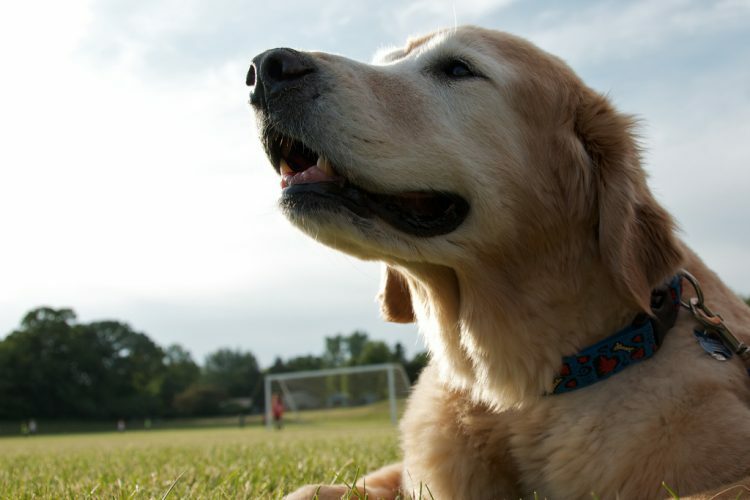 Old dogs aren’t obnoxious or high-maintenance, and they’re usually house-trained. They seldom dig or chew. They prefer to lie in the sun or curl up next to your feet. They’ll enjoy walks or trips to the park, but they’d just as soon chew a nice, meaty bone in front of the fireplace. Finally, did you know you could be helping TWO pets, not just one, when you adopt? That’s because every time you adopt an animal, you open up a space for another animal. So you’re not only giving an older pet another chance for a home — you’re also helping to ease overcrowded shelters and rescues. If you’re not sure you can devote a few years to a senior pet, considering fostering one instead. A loving home is a much better place than a shelter for a pet who is waiting to be adopted. If you do plan to make the arrangement short term, inform the shelter or rescue up front. Fostering is a great opportunity for you to have a pet and help with shelter overpopulation. Despite all their positive benefits, older pets are not without problems, especially those who have spent time in an animal shelter. When you bring home an older animal, you’ll need to keep a few things in mind. Give them a soft bed, a warm blanket and lots of love. If they sleep for 3 days straight, don’t be alarmed. They may not eat or drink, and they might not even want to go to the bathroom. Try to entice them to eat, and show them the water bowl. Give them time to acclimate. Vet bills may actually be lower than you think, though. To take one example, photographer Lori Fusaro adopted a senior dog named Sunny. At 16, Sunny had infected eyes and a tumor on her leg that was cancerous. It was because of Sunny’s health problems that her original family took her to the shelter — and that’s why Lori couldn’t leave her there. Lori told Today that vet visits helped clear the eye infections, and Sunny was prescribed pain medication for just $60 per month. Of course, there’s always a chance your new family member may have something more serious, such as diabetes, kidney failure, cancer or another condition. What you do depends upon the quality of life, your personal belief system and your bank account. Expenses: What’s This Going to Cost Me? Aging pets can be expensive, so expect that your buddy will rack up a hefty bill the first time you take them to the veterinarian. Depending on your veterinarian, expect to spend $150–400 on this initial visit. Many city and county animal control facilities work with local vets to provide a free checkup within 3–5 days after you adopt your pet, which will save you the cost of a vet visit. Some veterinarians even give a discount for shelter animals. It doesn’t hurt to ask. Arthritis is a potential problem in older dogs and cats. The vet may prescribe mediation for this, but you can also try a heated pet bed. (A word of caution: Unplug the bed when you’re going out.) Also, a set of carpeted steps will make it easier for an older pet to get up on the bed or the sofa. With cats, clip the claws regularly. Elderly cats don’t move around as much as younger ones, and their claws can grow into their paw pads. Then there’s the grooming issue. Senior cats frequently have trouble keeping up with it, so they’re going to need your help getting rid of their mats. You’ll need to go gently because they, like elderly people, have paper-thin skin. A cat with vision or hearing problems shouldn’t be allowed outside. Actually, all elderly felines should be kept inside — they are easy targets for predators. Expectations: How Long Will We Have Together? “Old” is a relative term and depends significantly on the breed. In general, the larger the breed, the shorter the lifespan. Given that, consider the age of the older pet you adopt and set your expectations accordingly. You may have only a few months together, perhaps as long as a few years — but it will be time you treasure. Given the potential health problems, expenses and expectations of a short time together, why on earth would anyone want to adopt a senior pet? Two words: joy and gratitude. You’ll see gratitude in your pet’s eyes and joy in their wagging tail, but you will also feel joy and gratitude yourself every time you look at the sweet old soul you rescued — joy because this special pet will love you so much, and gratitude that you are worthy of that love. 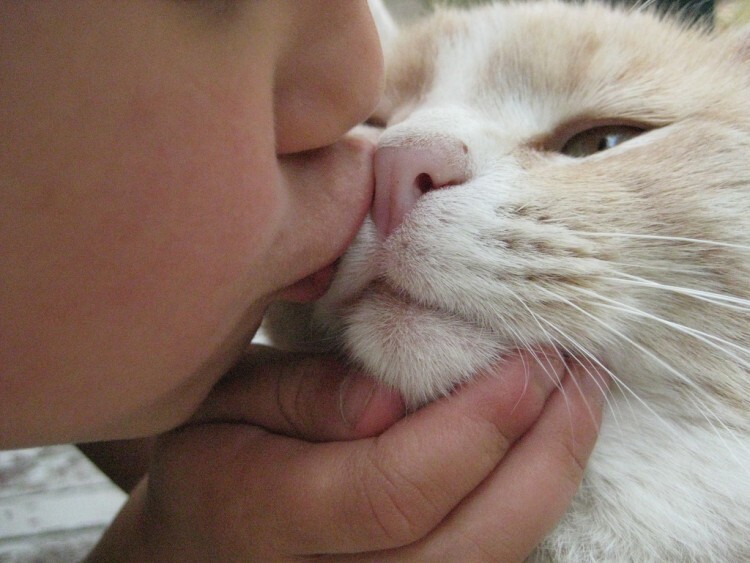 No love is deeper and more meaningful than the love of a pet for the human who saves him. Sharing that love, even if it’s only for a short time, will change you forever. Dog Bowl stars Dino (left) and Gus, both 6, were adopted from the ASPCA Adoption Center. Perspectives can change when our media channels become more inclusive. Social media has largely done its part to showcase older and adult animals, including Chloe Kardoggian (age 13), Marnie the Dog (age 16), and Lil Bub (age 6). Their platforms are being used to raise awareness about adult and senior animal adoption. And that’s great. But we still need to see more depictions of healthy adult pet adoptions in the storylines of kids’ books, games, movies, TV shows and commercials. In one positive development, Animal Planet’s Puppy Bowl has added Puppy Bowl Presents: The Dog Bowl the night before the year’s biggest football game. The game was played exclusively by older dogs, including a 6-year-old retriever mix named Gus and a 6-year-old Labrador/Beagle mix named Dino, both of whom were adopted from the ASPCA Adoption Center in 2017. We hope that seeing the fun, playful side of adult animals in The Dog Bowl encouraged single-minded adopters to think again. However animal adopters get the message, they need to know that the best way to find a “perfect pet” is by checking preconceived notions at the shelter door, asking lots of questions and letting their hearts guide them. A sweet dog or cat’s life may depend on it. This expert guide to adopting an older pet was written by a team of animal welfare experts including Matt Bershadker, president and CEO of the American Society for the Prevention of Cruelty to Animals (ASPCA); former animal shelter worker Allison Gray; longtime senior pet foster mom Tamar Love Grande; and veterinarian Dr. Debora Lichtenberg, VMD. Petful editor in chief Kristine Lacoste, a former local coordinator for the Dogs on Deployment organization, also contributed to this article, as did T.J. Banks, author of the book Catsong, winner of a Merial Human–Animal Bond Award. Finally, Petful publisher Dave Baker edited this guide, which was last reviewed and updated Nov. 11, 2018.